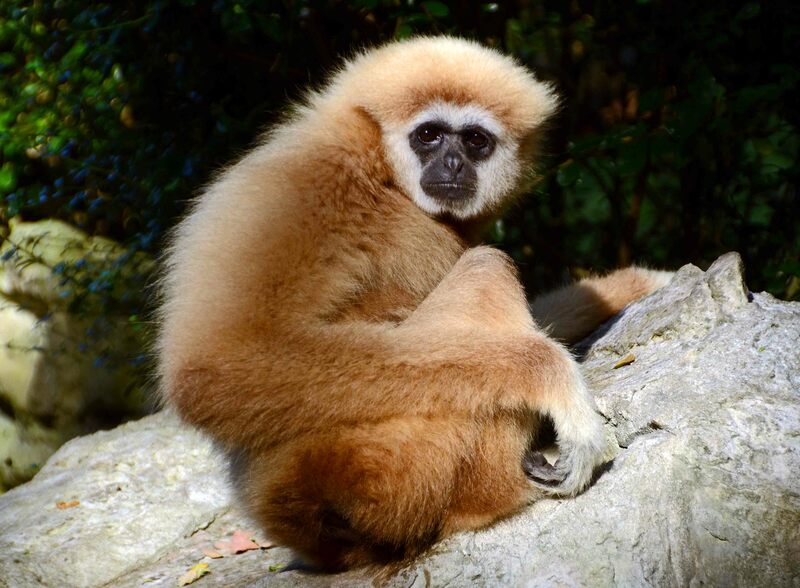 Posting a few more photos of this lar or White-handed gibbon (Hylobates lar) from Chiang Mai Zoo. 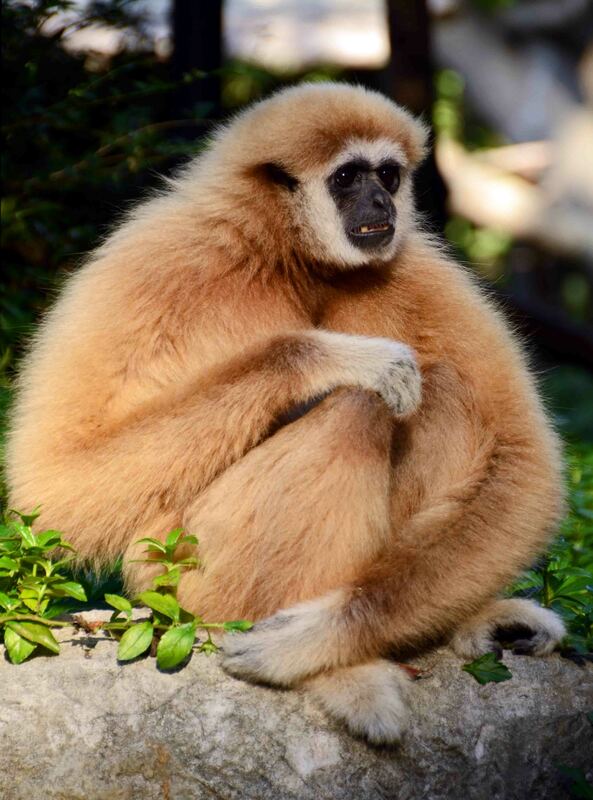 This gibbon must see hundreds, and sometimes thousands, of humans every day, so he does not take much interest in people as we stand there trying to catch his attention. Only the click of the camera shutter seemed to catch his attention. I was stuck by the large sensitive eyes and intelligent face, perhaps asking what are you doing? White-handed gibbons are relatively common in some parts of their range in Thailand (1); Khao Yai National Park is a good place to see (and hear!) them. 1) Parr, J. W. K. (2003) Large Mammals of Thailand. Sarakadee Press. 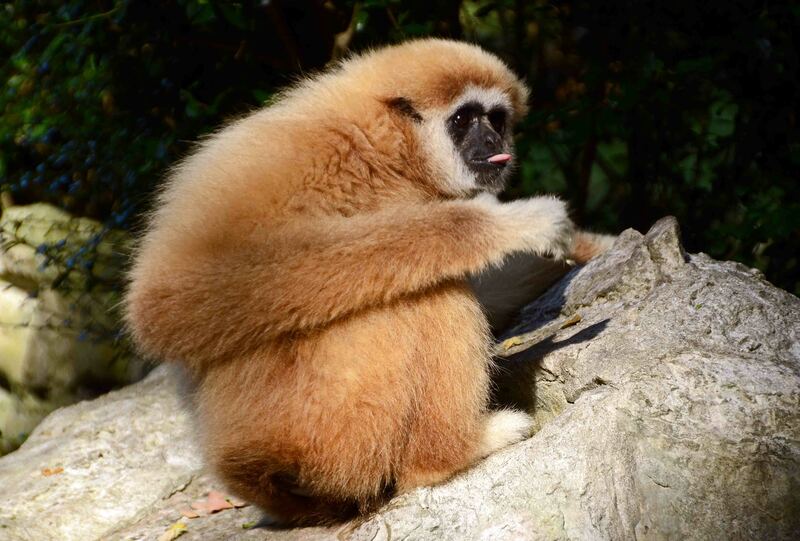 Ray Cannon's nature notes More gibbon photos!